“Happily Ever After,” the new nighttime fireworks spectacular, is set to debut at Magic Kingdom Park on May 12. The show will take guests on an emotional journey as favorite Disney characters set out to pursue their dreams, encounter obstacles (and villains!) to ultimately prevail and find their “happily ever afters.” The show also encourages guests to pursue their own dreams and never give up. While the “story” of the show is the most important part of “Happily Ever After,” how that story is told and choosing the right tools to tell it are essential in creating an unforgettable guest offering. 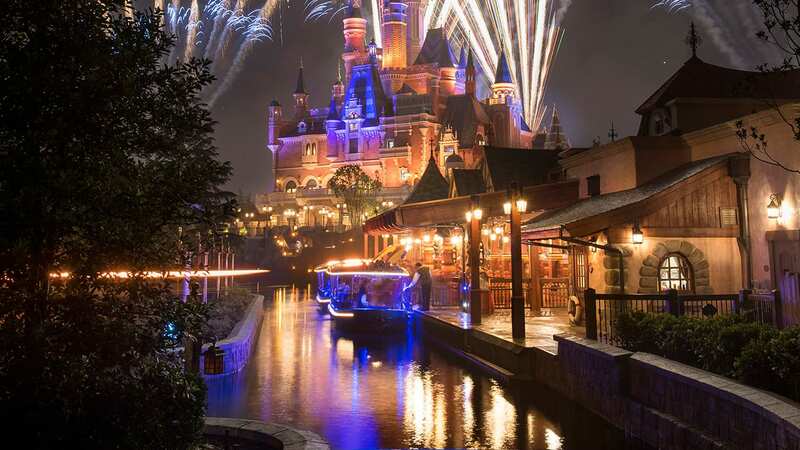 One tool in particular that Disney Parks Live Entertainment is excited to employ in “Happily Ever After” is the latest in projection mapping technology. The team first used projection mapping in 2010 with the launch of “The Magic, The Memories & You,” a nighttime show that combined guest-submitted photos with different colorful layouts that were projected onto Cinderella Castle. After more advancements were made in the field of projection mapping, a new show, “Celebrate the Magic,” debuted in 2012. Because of its successful use at the Walt Disney World Resort, the use of projection mapping technology then expanded to be used as an entertainment tool at Disney Parks around the world. Today, you can find projections enhancing entertainment must-see shows like “Star Wars: A Galactic Spectacular” and the seasonal “Jingle Bell: Jingle BAM!” show. According to Show Director James Silson, projections are one of many invaluable storytelling tools used in “Happily Ever After,” in addition to new hand-drawn animation, an original score and the latest in fireworks, lasers and pyrotechnics. To create the most technologically advanced projections for Cinderella Castle, Disney Parks Live Entertainment partnered with experts in the field to bring the show to life. According to Art Director Ryan Kravetz, working with Cinderella Castle as a canvas for these projections has been a dream-come-true project. For a behind-the-scenes look at the creation of “Happily Ever After” projection mapping, check out the video above. Will this be coming to Disneyland? I visited Orlando last year, but love in California. I visit Disneyland every other year and I am planning a trip this year. I would love for my grandchildren to see this here at some point. As you can tell I absolutely enjoyed the projection show. Simple Question – More, less, or the same amount of fireworks as wishes ? That’s what a lot of us care about, that you are replacing a fireworks show with a projection show, most likely to save money. We want our fireworks show.